ItemPDP03451 - "The Wife" And "Crowded Houses." ItemPDP03452 - Cantata: Queen Esther. ItemPDP03453 - "Unfinished Gentlemen", "Lord Love And Lady Nancy Bell." ItemPDP03454 - Miss Susan Robinson: "Grist To The Mill", "Somebody Else". ItemPDP03455 - "All That Glitters Is Not Gold", "Poor Pillicoddy." ItemPDP03450 - "Money", Stage Struck Chambermaid." ItemPDP03456 - "Bachelor Of Arts", "Little Toddlekins." 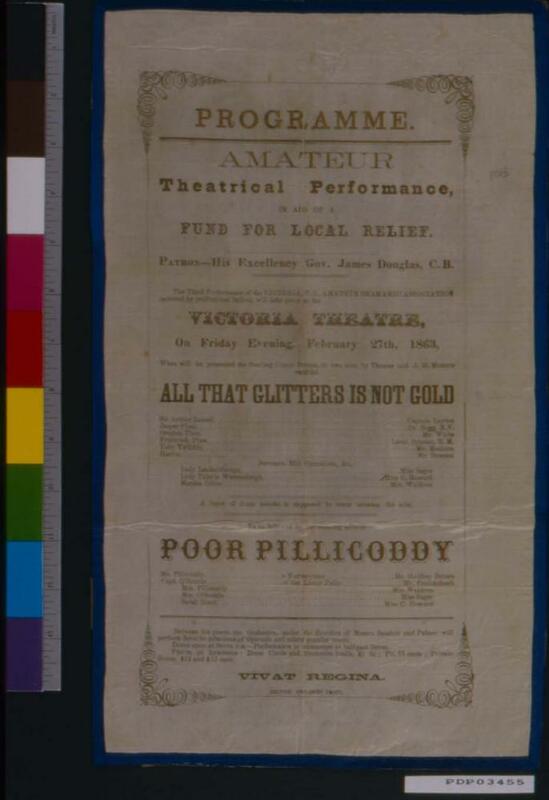 Item PDP03455 - "All That Glitters Is Not Gold", "Poor Pillicoddy."